Oakland has always been in the news, but always for the wrong reasons. Whether for gang violence, an alarmingly high crime rate, or just their rowdy football fans, Oakland has struggled to overcome its reputation as a dangerous place to be. But like everything, there are two sides to Oakland, and with local organizations like Oakland Digital championing the city, Oakland is changing its reputation and increasing its presence in the technology market that neighboring San Francisco and Silicon Valley have a stronghold on. The not-for-profit Oakland Digital Arts and Literacy Center works to provide technology education to small businesses and low-income students and adults, improving their lives one gigabyte at a time. Much like the similar-minded Bay Area Parents Leadership Action Network, Oakland Digital puts the tools in the hands of people who lack the resources but have the desire. Change Communications is proud to support Oakland Digital, who embody what it means to be the change. In December, Oakland Digital will be hosting its 2nd annual Inspiration Awards and are looking for a few good sponsors. 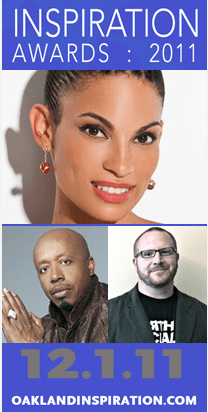 Obtain sponsorship information and details on the awards ceremony, where longtime Oakland supporter MC Hammer, Change Communications’ client North Social, and musician Goapele will be honored for their contributions to Oakland. And keep Oakland in the news for the right reasons.